LibreOffice is the best free office suite around, and as such has been adopted by all major Linux distributions. 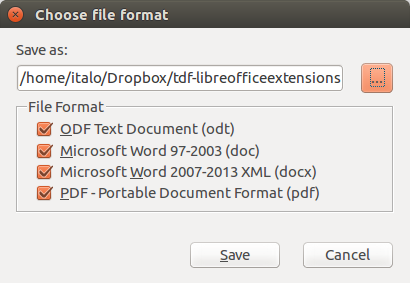 Although LibreOffice is already packed with features, it can be extended by using specific add-ons, called extensions. The main LibreOffice extensions website is extensions.libreoffice.org. Extensions are tools that can be added or removed independently from the main installation, and may add new functionality or make existing functionality easier to use. MultiFormatSave lets users save a document in the OpenDocument, Microsoft Office (old and new), and/or PDF formats simultaneously, according to user settings. This extension is extremely useful during the migration from Microsoft Office document formats to the Open Document Format standard, because it offers the option to save in both flavors: ODF for interoperability, and Microsoft Office for compatibility with all users sticking to legacy formats. This makes the migration process softer, and easier to administer. This extension adds many new features to Writer's find & replace function: searched or replaced text can contain one or more paragraphs; multiple search and replacement in one step; searching: Bookmarks, Notes, Text fields, Cross-references and Reference marks to their content, name or mark and their inserting; searching and inserting Footnote and Endnote; searching object of Table, Pictures and Text frames according to their name; searching out manual page and column break and their set up or deactivation; and searching similarly formatted text, according to cursor point. It is also possible to save and load search and replacement parameters, and execute the batch on several opened documents at the same time. Pepito Cleaner is an extension of LibreOffice created to quickly resolve the most common formatting mistakes of old scans, PDF imports, and every digital text file. By clicking the Pepito Cleaner icon on the LibreOffice toolbar, users will open a window that will analyze the document and show the results broken down by category. This is extremely useful when converting PDF documents to ODF, as it cleans all the cruft left in place by the automatic process. Impress Runner is a simple extension that transforms an Impress presentation into an auto-running file. The extension adds two icons, to set and remove the autostart function, which can also be added manually by editing the File | Properties | Custom Properties menu, and adding the term autostart in one of the first four text fields. This extension is especially useful for booths at conferences and events, where the slides are supposed to run unattended. 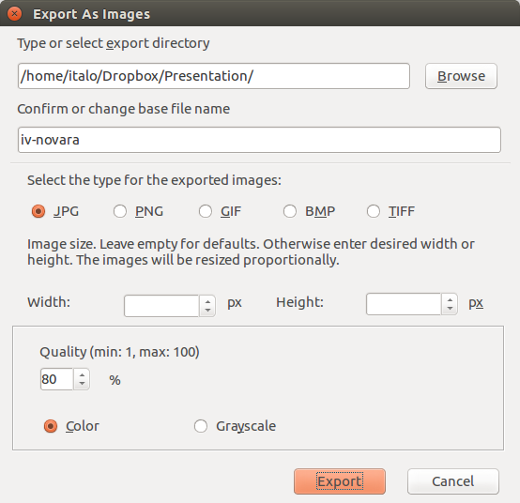 The Export as Images extension adds a File menu entry export as Images... in Impress and Draw, to export all slides or pages as images in JPG, PNG, GIF, BMP, and TIFF format, and allows users to choose a file name for exported images, the image size, and other parameters. Anaphraseus is a CAT (Computer-Aided Translation) tool for creating, managing, and using bilingual Translation Memories. 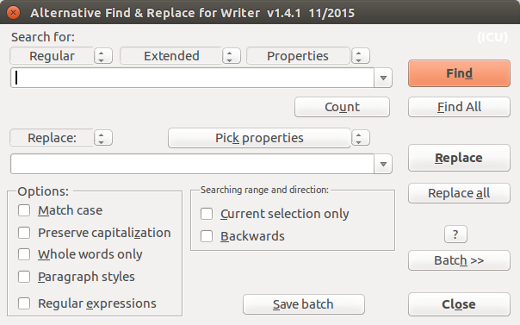 Anaphraseus is a LibreOffice macro set available as an extension or a standalone document. Originally, Anaphraseus was developed to work with the Wordfast format, but it can also export and import files in TMX format. 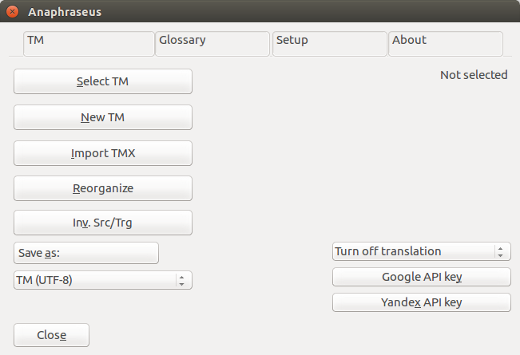 Anaphraseus main features are: text segmentation, fuzzy search in Translation Memory, terminology recognition, and TMX Export/Import (OmegaT translation memory format). Do you have a favorite LibreOffice extension to recommend? Let us know about it in the comments. ParaDTP extension -- DTP tool for paragraphs in OOWriter. Too bad that is no longer maintained. I am a new convert from Windows XP, I am looking for a envelope and label printing facility on libra, can't find it, PLEASE HELP, many thanks , Rob. In Writer, File → New → Labels. You can select the configuration of label matrix in the dialog box. Bookmarks - installs a bookmark entry in the main menu bar. Bookmark any document and group them as you like.